Ralph Rogers, is a dark, florid man of 45 behind whose quiet, brown eyes are the memories of two decades ago when he led a more colorful life as body-guard, valet, chauffeur for the late Rudolph Valentino. He was the late film lover’s companion the night Valentino won 450,000 francs and broke the bank at Monte Carlo. He was with him in an automobile crash near Hollywood when those who rushed to the scene stole bits of the shattered Valentino car as souvenirs, forgetting the begrimed, bleeding victims of the crash. He was aboard ship with him when Benito Mussolini warned the late Rudy by wireless not to put foot on Italian soil with immediate induction in the army as an alternative. He spent three hectic years trying to save his boss from girls and women who besieged him for autographs, sometimes tearing at his clothes, even snipping hairs from his dog for mementos. One night while enroute from Europe to America aboard the Vaterland, later the Leviathan, women banged on the doors of once was the Kaisers Suite demanding the public appearance of Valentino who wanted only to be left alone to sleep. In some European Capitals the besieged Valentino had to employ the utmost diplomacy to shoo away an occasional princess, baroness, or countess. All this, and more besides are among the memories of Ralph Rogers, 110 Monmouth Street here when he is not engaged in the operation of his small Italian restaurant on Broad Street, Shrewsbury. His getting the job as Valentino’s man Friday was by accident. Rogers was employed in the main showrooms of the Isotta-Frachini Company, New York City. His boss was a chap named D’Annunzio son of the famous Italian poet and patriot. Valentino drove an Isotta and had dropped in wit the problem of getting a man to go to Europe with him to drive the car. D’Annunzio suggested Ralph Rogers. Rogers accepted but in the back of his mind he figured he might get the chance to visit his relatives in Sorento. “We toured Europe the days and nights were always exciting and interested. But Valentino was never interested too greatly in women perhaps they annoyed him too much. In Europe it was very bad the way they kept after him. 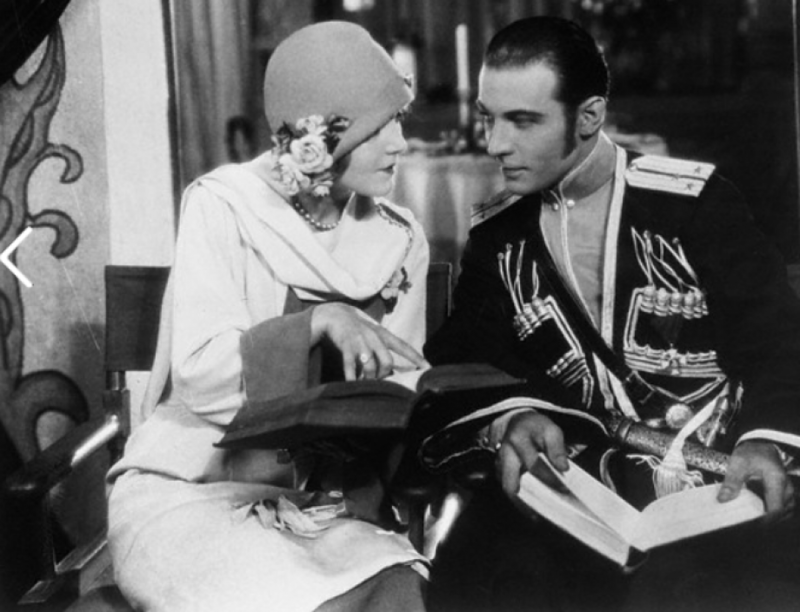 During the years from 1923-1026 when I was with him, I know of only one woman Valentino seemed to care anything about and that was Pola Negri. In my humble opinion she was the only girl Valentino seemed to really care for. The night Valentino broke the bank at Monte Carlo I was beside him most of the evening. I say it was 450,000 francs he won it may have been 500,000 or 550.000. I can only remember that I had to carry the money out in a bag to the car and that the place closed down tight, turning all the guests away. It was very bad night for the old gambling house. Papers all over the world were full of the story the next day. “While we were in France, I mentioned to Valentino I had relatives in Sorrento. He told me to take his car and drive there and to spend as much time as I liked. He was a wonderfully democratic fellow, very generous and very understanding. He was what you might say a ‘swell guy’ all around”. When we arrived back in New York disembarking from the Vaterland Valentino told me he would like to keep me and asked would I be willing to be employed by him instead of going back to my old job. He said we got along so well he would not like to see me go. I decided I would remain with him. “Out around the Pacific coast when women couldn’t get close enough to Valentino in his car they would actually shinny up to the roof of the car and peer in at him. He had his troubles with the women. Ralph Rogers never saw Valentino when thougsands streamed into Campbell Funeral Parlor to view the late film idols body. “Just as in life” Rogers says, the crush of women was too great. I stood outside and looked. I saw those women lineup for blocks. I shook my head with the memory of a real fine fellow I would never see again. Up to a year ago, Ralph Rogers was still wearing pajamas Valentino had given him. He Loved fine pajamas said Ralph. He had them by the dozen and they were made of the finest materials, personally made for him to last a life time. They did for him, and lasted another 20 years for me. The last pair I abandoned just about a year ago.